Early last fall I caught part of an interview on NPR with Christopher McDougall, author of Born to Run: A Hidden Tribe, Superathletes, and the Greatest Race the World Has Never Seen. 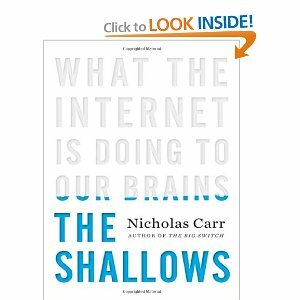 It sounded like a fascinating book, but I filed it away in my ever-growing list of “maybe someday” books – which usually means I won’t get to it. But then I got roped into this New Year’s resolution, and I had the perfect excuse to check it out, and am I glad I did. The entire book sprang improbably from a simple five-word question: “How come my foot hurts?” McDougall, a journalist who had survived innumerable extreme sports, as well as war zones and some of the most dangerous and lawless regions of Africa, was laid out by perhaps the most common of New Year’s resolutions: running. Visits to two podiatrists yielded the same answer: your (6’4”, 230 lb.) body isn’t made for running. In fact, the human body in general is not made for running – the pounding takes a toll on the body, especially for those large of frame. McDougall initially accepted this common wisdom – after all, his experience backed it up. Whenever he went running, some part of his body would break down. But then one day while on assignment in Mexico, McDougall flipped through the pages of a travel magazine and caught a picture of a figure joyfully careening down a mountain in nothing but a cloak and sandals. Intrigued, McDougall abandoned the story he was working on to search for the Tarahumara, a reclusive Indian people who live in the Copper Canyons of Mexico and run like gazelles – or rather, as the book argues, like the finely tuned running machines that humans evolved to be. 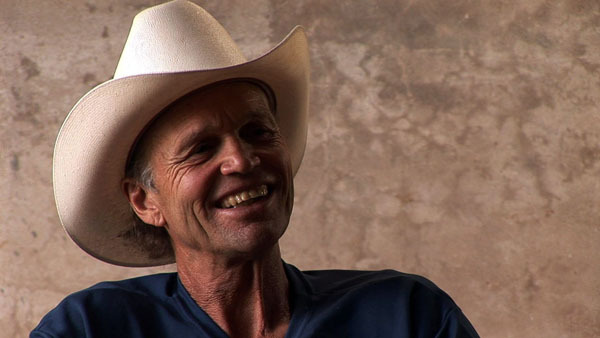 Because of the shyness of the Tarahumara, McDougall had to track down a strange and mysterious figure who goes by the name Caballo Blanco, the White Horse, to learn about the people and their legendary running secrets. When he finally tracks down Caballo, McDougall (and the reader) get a fascinating account of the history of the tribe, their sad, but all too common, exploitation by outsiders, and the reasons for their reclusiveness. Along the way we also get a colorful picture of the bizarre yet intriguing world of ultimate sports, a world filled with outlandish characters who perform even more outlandish feats of athleticism in the most harrowing of conditions. The rest of the book recounts McDougall’s efforts to help make a reality Caballo Blanco’s dream: the ultimate endurance race through the treacherous Copper Canyons pitting the Tarahumara against the best (and bravest/most foolish) American ultramarathoners. McDougall tells the story with just the right mixture of humor, suspense, and fascinating tidbits. The book is worth reading for the characters alone, who epitomize the saying “truth is stranger than fiction”: there’s Caballo Blanco, the mysterious gringo who left everything to live among the Tarahumara and learn their ways; “Barefoot Ted,” the barefoot running enthusiast who doesn’t know how to shut up; Billy and Jenn, the party animal ultramarathoners who will drink all night only to get up a few hours later and run 20 miles; and Scott Jurek, the king of American ultramarathoners who runs to cope with his past. McDougall also describes several races with a flare and detail that make you feel as though you’re there. He intersperses the main story with accounts of the design of running shoes (which really took off in the 1970s, along with running injuries) and scientific studies about why humans evolved into the best distance runners in the animal kingdom. A few tidbits: what’s the purpose of our gluts? Our posteriors, generously sized compared to those of chimps, serve as a counterbalance to keep us from tipping over from the forward momentum of running. Why the Achilles tendon? It acts like a rubber band, generating kinetic energy and enabling us to keep running for hours on end. What’s the most efficient way to hunt down an animal in the wild? It ain’t the bow and arrow. Rather, it’s something called “persistence hunting,” running an animal down for hours until it dies from overheating. There’s so much more that I could go into: the simple beauty of Tarahumara culture, the odd concoctions runners drink to keep them going, the numerous brushes with death that many of the runners face. Perhaps the most compelling aspect of the book for me is McDougall’s descriptions of running in general and of the Tarahumara in particular. What first struck McDougall in the picture he saw, and what strikes everyone in the book who sees the Tarahumara run, is the sheer joy on their faces. Running for them is not a chore or a punishment – it’s something they were born to do, and indeed, McDougall argues, something we were all born to do. Every five-year-old knows this, but, sadly, it gets beaten out of most of us somewhere along the way to adulthood. McDougall’s book may change that for you – it certainly did for me. Although it is unlikely that I’ll be signing up for any ultramarathons in the near future, thanks to McDougall I do hope to rediscover the joy of running. Two down, (at least) fifty to go. I thought I’d kick things off with something light and uplifting, so I picked up a copy of Albert Camus’ The Stranger. Okay, maybe not. In reality, I’ve wanted to read the book for a while, and at a slender 117 pp., I figured it would be a quick read and give me some confidence as I get back on the reading wagon. True to my expectations, The Stranger was a quick read, and yet deceptively quick. I think I would have to reread it a couple of more times to really “get” it. The nature of this blog won’t allow for that, though, so here are some very brief reactions on my first reading. 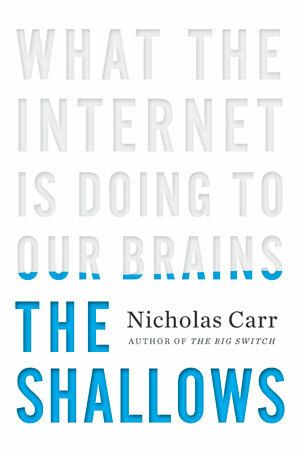 Though the topic and underlying philosophy of the book are a bit depressing, I actually enjoyed reading it. Camus’ style, terse and to the point, moves the reader along quickly and is well suited to the themes of the novel. Meursault is a complex and bedeviling character. On the one hand, he seems totally emotionless: he doesn’t shed a single tear over his mother’s death, nor does he want to see her one last time before her burial; when his girlfriend Marie asks if he loves her, he says it wouldn’t mean anything, but probably not; and most disturbing (to me, if not to the other characters in the novel), he feels absolutely no remorse for the murder he committed. The first words that came to mind as I read the story were apathy and ennui. On the other hand, Meursault is not a robot: the story ends with him at last finding happiness in the meaninglessness of life. I suppose at root he is a non-conformist who finds the structures of meaning society clings to absurd, but that could just be my superficial reading (literature never was my strong suit). 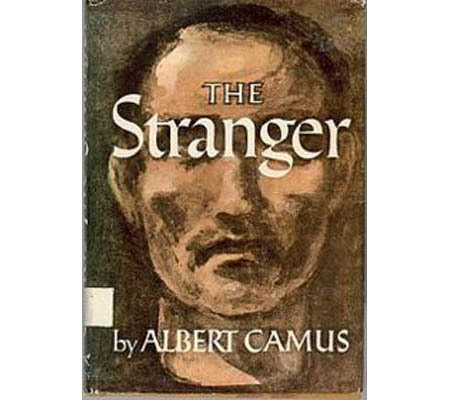 On the whole, I’m glad I read The Stranger, but I wouldn’t want to make it (or Camus) a regular part of my reading diet. One down, (at least) fifty-one to go.